Being critically ill is a terrifying time. Our 5-bed Intensive Care Unit is staffed with compassionate and knowledgeable nursing staff, all certified in Advanced Cardiac Life Support (ACLS) as well as Basic Life Support (BLS). Our staff will support and educate patients and their families through their illness. 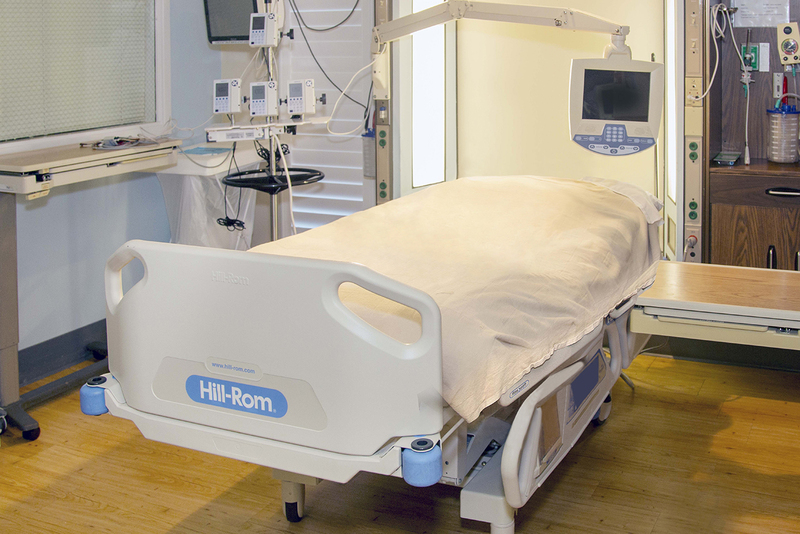 Each bed is appointed with a state-of-the-art monitor that continuously displays the patient’s blood pressure, heart rate and rhythm as well as blood oxygen levels. For patient safety and comfort, nursing staff are positioned to be able to view every patient at all times except when privacy is requested or necessary. Respiratory Therapy staff are available 24 hours a day to provide needed and timely treatments, and specially trained physicians are in-house and are able to respond immediately to any emergent changes in patient care. For those who are well enough, each bed also has its own flat screen television so you can enjoy your shows without disturbing other patients.